With the evolution of Artificial Intelligence (AI), robotics and digitization, the way we work may change, but there are also opportunities for job creation, workplace inclusion, and new skills development, say Canadian workforce experts at Ryerson University’s Magnet and Diversity Institute. New data from the World Economic Forum’s The Future of Jobs Report, released in September 2018, also points to positive gains. The report estimates that machines and automated software will handle half of all workplace functions within seven years and states that the “Fourth Industrial Revolution” could displace 75 million jobs, but more will be gained with an estimated 133 million globally. AI is handling more complex tasks and jobs more swiftly, accurately and in less time with few or no errors. The most affected industries are expected to be medical, including in hospitals where AI or ‘precision medicine’ is already being used to perform many complex surgeries and treatments, E-commerce, and the financial and automobile sectors to name a few. In the face of this rapid change, social innovations such as the Magnet online platform which was developed at Ryerson University, aim to accelerate inclusive job and economic growth using data-rich, intelligent matching technology. It connects employers and job seekers based on skills, preferences, and needs. Its real-time labour market intelligence capabilities are also contributing to evidence-based information being used to predict skills needs and shortages. Magnet also works with industry sector partners and universities to provide job skills training opportunities. A 2018 research paper by RBC, Humans Wanted – How Canadian youth can thrive in the age of disruption, shows that automation is expected to impact 50% of Canadian jobs in the next 10 years. The report further notes that Canada’s youth entering the workforce now are not fully prepared for this major shift in technology. 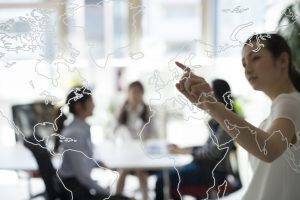 There is an urgent need to understand what skills Canadians will need to prosper in the future and how Canada can better leverage its current skills development infrastructure to meet these needs. The Diversity Institute is doing just that through its research, industry and government collaboration. “We did a survey recently of AI employers and found that, of course, they are looking for high-end scientists and researchers, but one of the most acute shortages in the industry is product managers, sales people and project managers – people who can understand what the potential of the technology is and work with organizations and consumers,” says Wendy Cukier, Ryerson University Professor of Entrepreneurship & Strategy and Director of Ryerson’s Diversity Institute. In addition to the Diversity Institute’s soon to be released survey of AI employers, it’s research report Soft Skills Are Hard, showed that there is wide agreement that ‘soft’ skills (often termed “professional” or “generic” skills) are essential to employment across all sectors, while there is little agreement, however on how specifically these skills are defined. 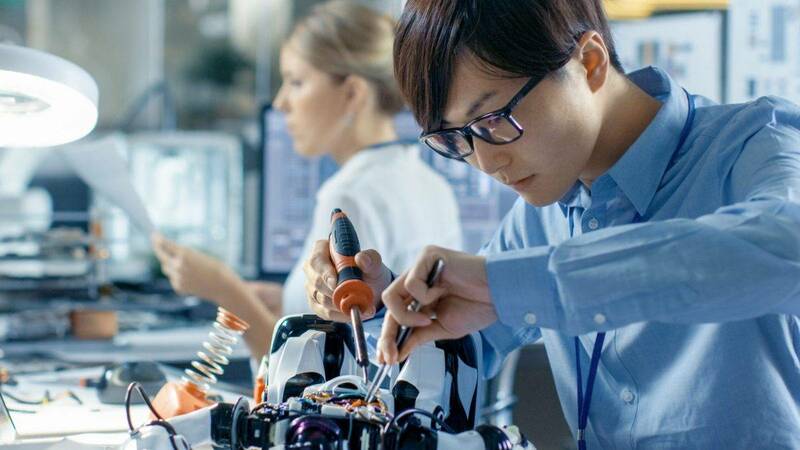 The impact of AI on Canada’s workforce was also noted in an earlier report published by the Brookfield Institution for Innovation and Entrepreneurship called The Talented Mr. Robot: The impact of automation on Canada’s workforce. According to the report, nearly 42% of the working class in Canada could be affected by automation in the next 10 to 20 years. The report goes on to state that while many occupations are at the risk of being affected because of automation, they won’t be entirely lost, and instead they may be restructured. Disruptive technologies in the workforce have also led to the rise of new organizations, such as Ask AI, whose second podcast series will continue to explore what Canada is doing to transition to the “Fourth Industrial Revolution” and whether a more diverse workforce will result in less bias within AI technology. Tune in to learn where experts, including Ryerson’s Mark Patterson and Wendy Cukier, believe we are going. Ask AI explores AI-related issues and solutions through events, blogs, podcast series, and a chatbot that connects Canadians to AI. As noted in RBC’s Report, it is expected that many entry-level and junior positions within the Canadian workforce will be affected. As such, Canada has an opportunity to develop young members of the workforce through training that will allow them to embrace new disruptive technologies being introduced in the workforce. The Government of Canada along with industry associations such as Information Technology Association of Canada (ITAC) are also responded to this coming digital shift by introducing skills training opportunities including work integrated learning, among other initiatives. Universities are also responding. Both Magnet and the Diversity Institute are part of the work integrated learning ecosystem and have partnered with industry and government to deliver programs such as ASPIRE which is powered by Magnet’s platform and ADaPT developed and analyzed by the Diversity Institute with a goal of preparing tomorrow’s workforce and making Canada more competitive.